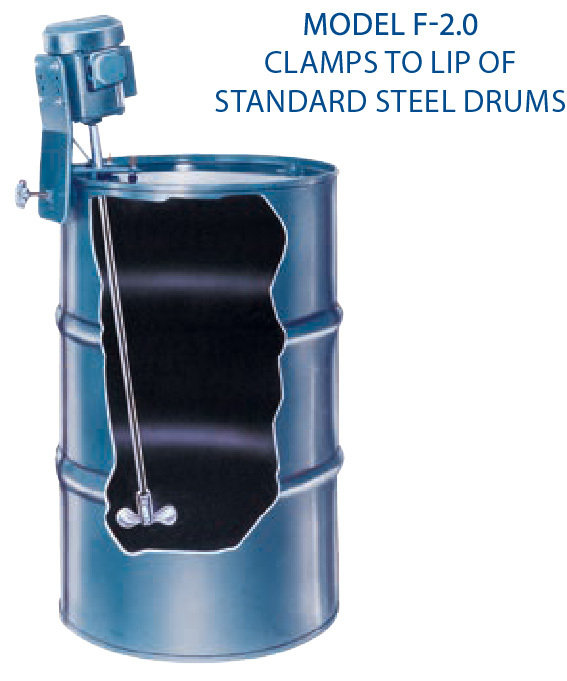 Neptune offers a complete line of bung-entering mixers. These mixers come in two styles for water-like solutions that use a folding propeller (Series E & F). 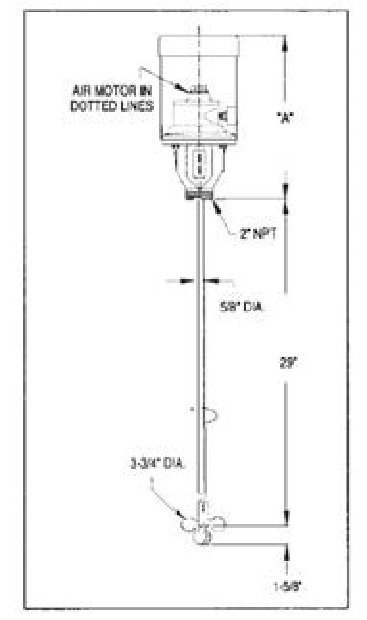 Two styles (Series H & HGS) are also available for viscous fluids that use permanent blades and are offered in higher horsepowers. 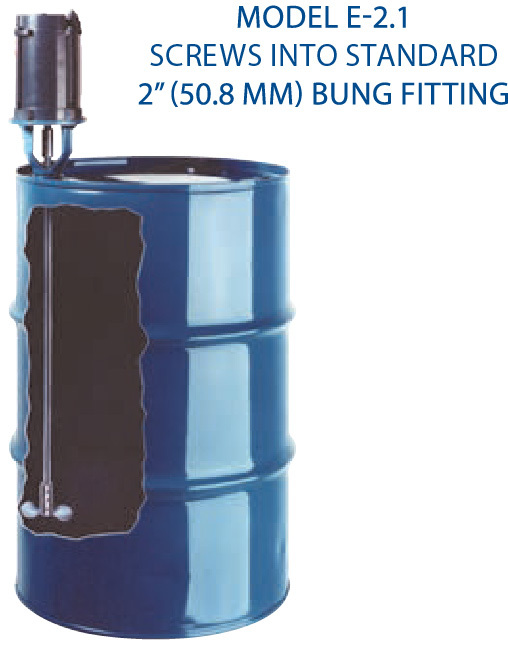 All Neptune bung-entering mixers fit through the standard 2” (50.8 mm) bung on 55-gallon (208.2 liter) drums. Shaft and folding propeller are 316SS. Propeller folds for entry; opens to 3-3/4” (95.3 mm) diameter when operating. All mixers are in stock for off-the-shelf delivery. Motors are available in TEFC or explosion-proof enclosures (56C frame). Air motors also available.